Leagues of Gothic Horror is the definitive guide to the Gothic Horror genre for Leagues of Adventure and the Ubiquity system. This supplement includes information on all the important aspects of the genre -terrifying monsters, sanity-shattering tomes, occult relics, and places of nightmare. In short, Leagues of Gothic Horror provides the Game Master with everything needed to run spine-tingling tales. Contents of the book include a detailed bestiary, a complete magic system, new rules for player characters, weird science gadgets, guidelines for running horror adventures, and information on some of the most sinister villains of all time! 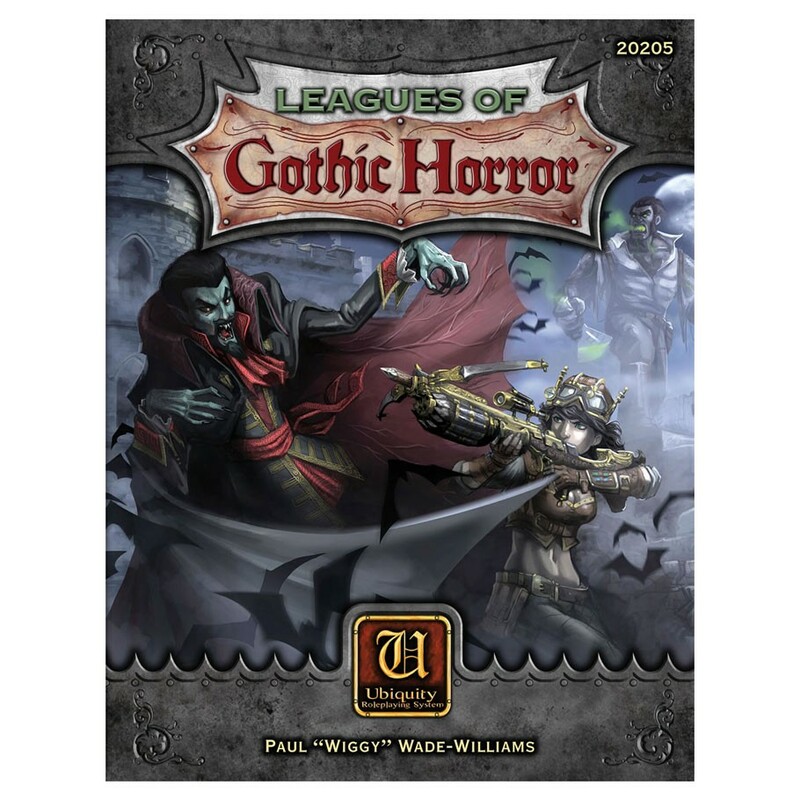 Leagues of Gothic Horror is compatible with other Ubiquity games.